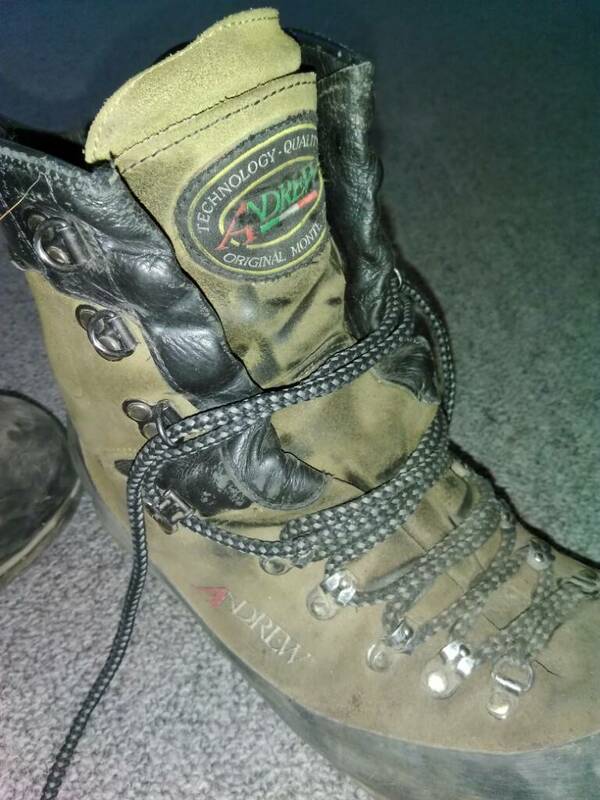 These are not a hunting/tramping boot they are a safety boot. I bought these boots with my own money for work, my work is general engineering and these boots are not designed for this they are designed as a chainsaw/forestry boot. I had had a gutsfull of buying 300-350 dollar boots that would only last 3-9 months before falling off my foot literally. 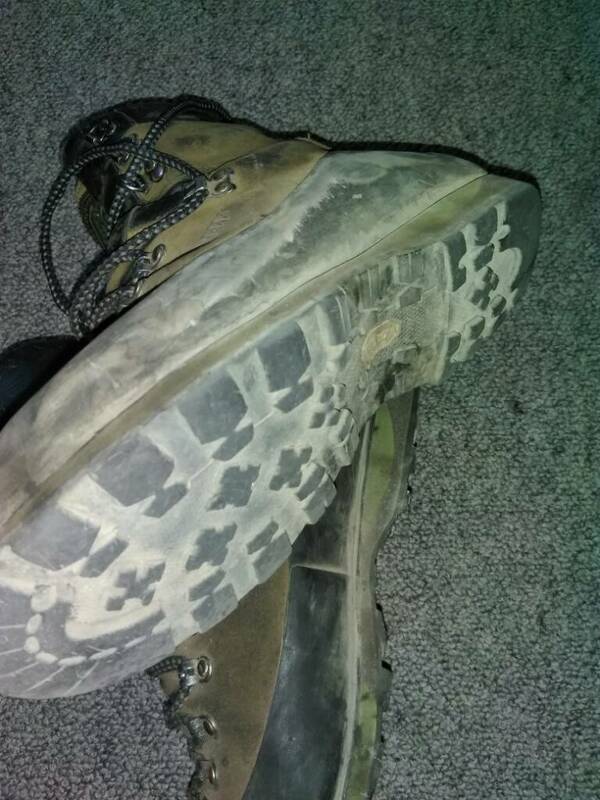 All the boots I can find that are "designed for engineering" are designed to feel like a slipper when you put them on the first time and in 3 months they are rooted but still cost over 300 bucks. I have had these nigh on a year worn 5-6 days a week for 10-12 hours a day and the uppers have had one leather treatment in that time and look like they would do another year.....Uppers always fail on my work boots....untill now. 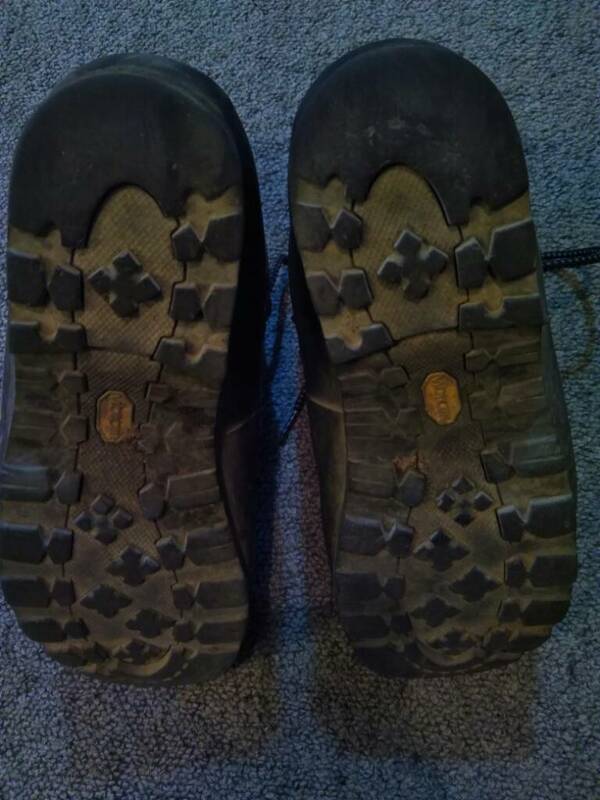 Soles are exceptionally slippery on a wet or oily smooth concrete/lino surface like any stiff outdoor sole....once used to it it is not a problem and still safer than a floppy useless slipper with a steel toe.......these may be the first ever work boots I wear out the sole on, they are down to 1.5mm in the wear area of the ball of foot. No sign of sole delamination despite constant showering with molten metal. They are quite heavy but you get that with chainsaw snag protection and steel toe. One anomally I have never struck with another boot is that the right side seems to be slightly bigger....after lacing up 5 min later I have to retighten that boot to stop heel lift then shes good for 10 hours. They are a stiff boot with heaps of ankle support even now a year or so down the track and that is important to me having broken an ankle not too long ago. 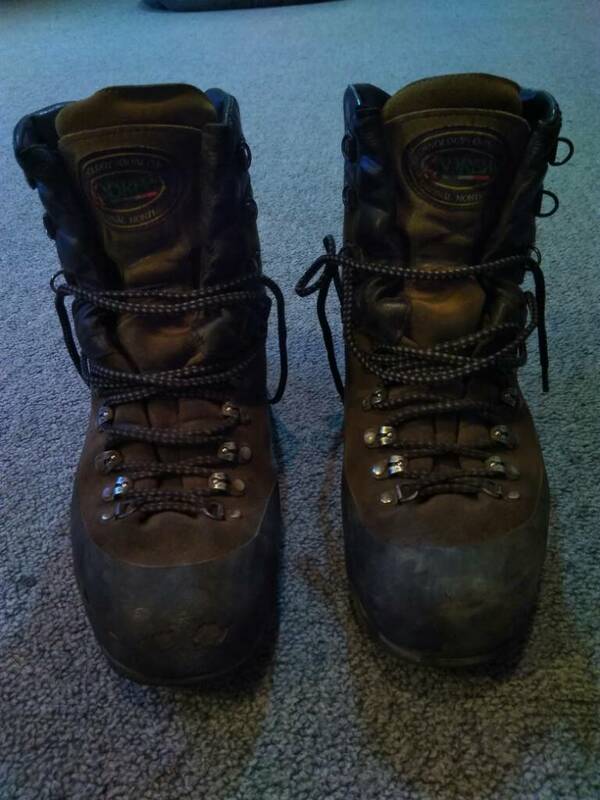 I am absolutely using these boots in a environment they are not designed for and I have to say they outperform any other boot I have used in my trade, havent taken them off road at all as they are my work boots but dont doubt they would excel in the steep stuff. I will be getting a non saftey pair for hunting. Last edited by veitnamcam; 06-03-2019 at 09:19 PM. jakewire, gadgetman, JoshC and 2 others like this. 7 days a week in all conditions, I never wear gumboots and they last. and all I managed from you was along the lines of " piss off, I hate you "
How wide are they , and who sells them ? Plenty wide enough for me but cant say I have struck a boot that was too narrow?.....similar to the lowa gtx wide in feel but when I had them nothing I could do would stop heal lift in them. Plenty of people love those tho so obviously something to do with my foot shape or gait as to why the GTX didnt work for me. Have done similar used John Bull Kokoda as work boots for about 12 years. Changed companies limited on price what we could have. Blundstone,Steelblues and some pretty Puma's none that good. Back to the John Bulls as they are in the $range now. Very happy to be back in them. Good review. Not sure I could swing them thru my current employer but they cover 1 pair per year not limited to price the stipulation is "common sense, don't go nuts"
Yea I get maybe 150? bucks a year in my contract for boots....its never come close to covering it even 15 years ago. I think the company price for the John Bulls was about $180. Thats rubbish, with the new H&S stuff most employers understand they have to provide all required PPE as part of the deal, I was surprised that even applies to people like me on a day by day contract. But I digress I would try those boots but slippery soles is a deal breaker for me unfortunately. Yea they would be slippery on say a factory floor with the grating out. Yeah I was thinking on the decks of the places I work. The Oliver's I currently wear are bad enough that I am looking for something else. Probably about a month I guess.